With more than 20 billion devices expected to connect to the internet by 2020, the Internet of Things (IoT) has been predicted to take off any day now. Smart devices in our homes, like thermostats that shut off and turn on when we leave and return and smart doorbells that allow us to converse and see anyone at our door (whether they ring the bell or not) are becoming more and more ubiquitous, and quite a few of them are connectable to smart bots like Alexa and Google Home. But what applications do the Internet of Things have for the office? A better question might be what can’t the IoT do for our offices? A smart printer will know when to order more paper if the supply gets low. An email between colleagues setting up a meeting will trigger the conference room reservation system to book space for their time together and email a confirmation and invitation to all other interested coworkers. Manufacturers will have greater-than-ever access to their assembly lines, which will gather data about inventory passing through, so more efficient ordering of parts can be placed through vendors. Training programs can become far more hands-on than before, guiding newly hired employees through foolproof processes to produce actual output and a quicker gaining of experience. Overall, the building’s temperature and lighting controls can automatically adjust based on the number of workers in a room. Air quality tracking in your office to know when the HVAC system needs to be serviced, enabling your employees to breathe easier wherever they are in the building. The implications are staggering. Building efficiency has the potential to skyrocket, with employees interacting like never before with each other and with the building itself to improve productivity, creativity, and innovation. Not to mention, with workers’ lives simplified by the automated handling of basic office functions like ordering supplies and even making coffee, they can expend their energy on things more central to their jobs, like creativity and collaboration. Picture a company whose employees have a chip embedded in their ID, or a company-issued smartphone with an app that’s connected to the building. The data that can be gathered from their movements alone throughout the workday can help with basic running of the building. Depending on your industry, the IoT has uses once only conceived of in science fiction. 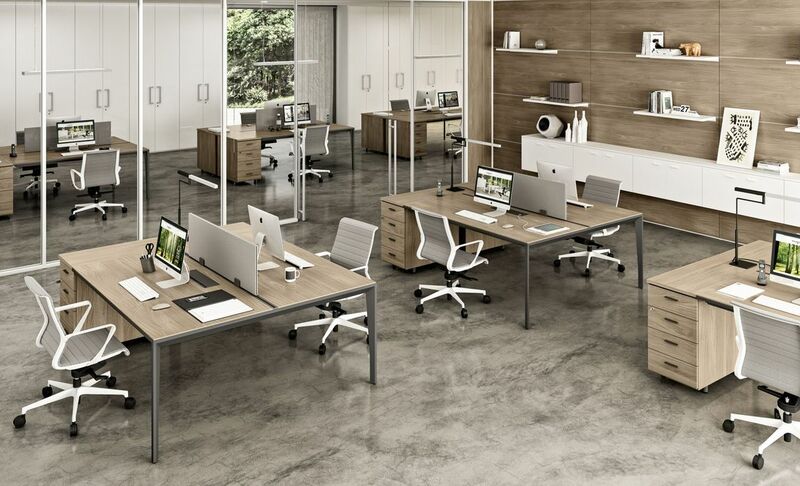 But more and more, these networks of connected devices have the potential to revolutionize the modern office. Hospitality staff can be automatically notified of the heavy use of a bathroom to make a quick pass through, ensuring cleanliness and fully stocked soap and towel dispensers. At the end of the day, they’ll note which areas of the building saw the most traffic, and can concentrate their efforts on those spaces without wasting time on areas used less or not at all. Gather enough data about the areas of the building that aren’t used at all, and the building operations manager can determine a better use for that space, so no amount of square footage goes wasted. Are your employees congregating in one location more than others? Figure out why that space is so appealing, and you can begin to transform other places in the building to be equally functional and pleasing to your workforce. 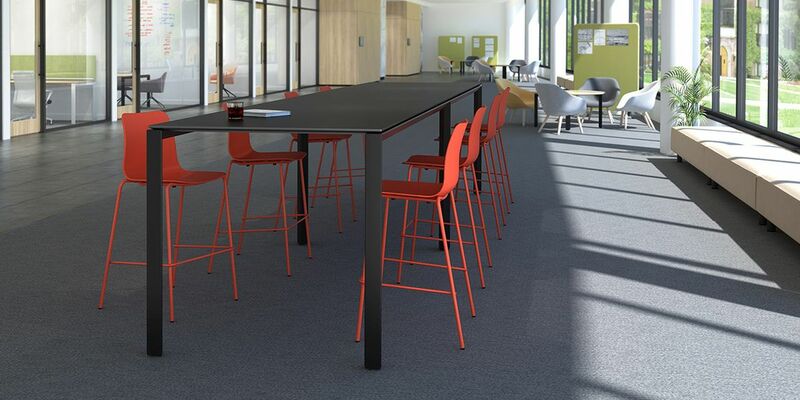 Maximizing square footage, or even letting go of unusable space, has the potential to save companies millions in office design and efficient use of space alone. All of this sounds incredible, and that’s not even taking into account the myriad ways the IoT can be put to use for customer satisfaction. Tracking inventory levels means your business never runs out of the essential items necessary to keep it running. Automating processes such as returns and customer service inquiries means quicker resolutions to the daily hiccups your customers may experience with your products and services. 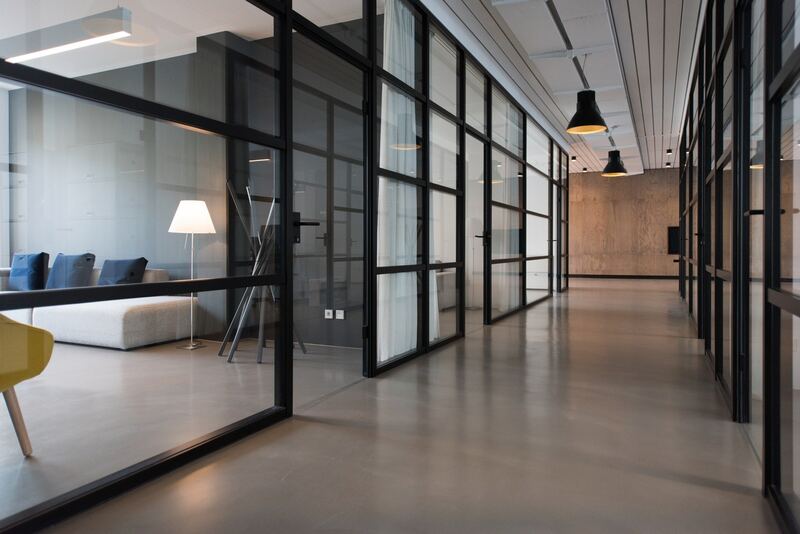 Maximizing square footage, or even letting go of unusable space, has the potential to save companies millions in office design and efficient use of space alone. Minimize lost or damaged shipments by partnering with shipping companies to allow devices on shipped products. Use them to better track orders to get real-time GPS functionality, data about environmental control for temperature sensitive products like medications or food, and never lose another package again. DHL adopted these tracking features for shipments under their care, providing those who trust them with their business real-time access to all the shipping data they can stand. There is one building, in Amsterdam, where the IoT is the backbone of its structure. While the costs to implement buildings of this magnitude are a way into the future for most companies, Deloitte opened the first entirely connected IoT building of its kind, called The Edge. Employees are connected to the building’s interface through an app on their smartphone. When they arrive for their workday, a camera photographs their license plate and the LED lighting in the garage directs the worker to their parking space for the day. When they enter the building, their smartphone app leads them to their day’s working space, determined by accessing their schedule for meetings and planned work. 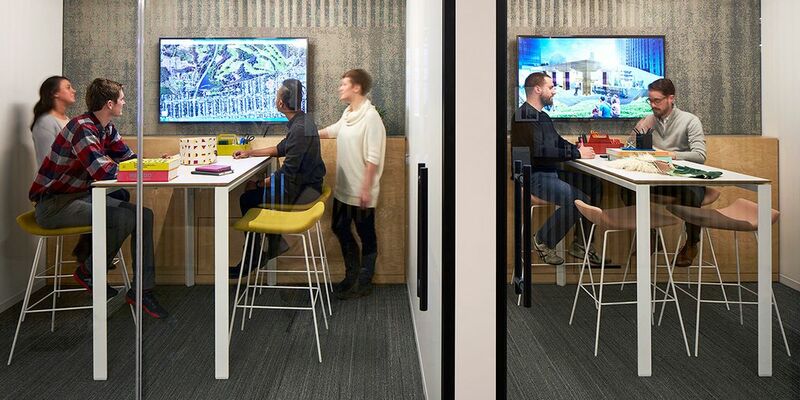 Whether they need a desk for their work, or a private cubicle with just a chair and a lamp for a day spent on the phone, or a collaborative space to hash out the latest project with their team. The environment adjusts to their temperature and lighting preferences, and even the coffee machines know their taste preferences. Everything the employees of Deloitte could possibly need is available on their smartphones with just the swipe of a fingertip. In conducting business this way, Deloitte saves millions, not only in housing 2,500 workers with just 1,000 workstations, but in air quality, and energy usage through the water aquifer beneath the building. Even the gym uses the kinetic energy produced by those working out to help power the building. How Does IoT Affect Employee Satisfaction? While this is cutting-edge technology, it’s on our horizon as the office of the future. There’s also the potential benefit beyond employee efficiency and productivity. Studies show people technologically connected to their office feel as though they’re on-call 24/7, often checking their email first thing in the morning and the last thing at night. The potential application of the IoT could also handle functions for which people feel the need to be connected at all times. If the office phone will route phone calls from customers to a branch in a different time zone, there’s always someone available for customer needs while giving employees in a company branch that’s closed for the night the work-life balance they need to recharge their batteries. Trusting the buildings in which we work to handle the more mundane, day-to-day tasks can free up our workforce for more productive, more creative, and more satisfying work. If the inventory tracking system can produce the next day’s shipments, shipping software can be implemented to print the shipping labels overnight so there’s no question for upcoming orders, leaving fewer after-hours crises to be handled by employees who are off the clock. Trusting the buildings in which we work to handle the more mundane, day-to-day tasks can free up our workforce for more productive, more creative, and more satisfying work. Letting technology handle as much as we can, we take the element of human error out of the equation, ensuring our office time is spent as wisely as possible, and in as much comfort as we can imagine. These are a few of the applications of the Internet of Things, and because of it, the future looks bright. And that’s not just the self-adjusting LEDs talking.